Dr Adrian Thorp qualified in Dentistry from the University of Liverpool in 1999 where he spent his last year as Dental Student President. He then pursued a career in the hospital services for some time before returning to both practice and hospital services. The early part of his career formulated his training in Oral Surgery which led initially to the completion of the MFDS RCS (Eng) (for which he attained the Gold Medal). From there, he continued along the extensive Oral Surgery career pathway which culminated in the prestigious award of the Speciality Diploma of Membership for the Royal College of Surgeons of England (M Surg Dent RCS (Eng) and entry onto the Specialist List for Oral Surgery held with the General Dental Council. During his career, he has also been able to develop his interests in other areas of dentistry including Cosmetic Dentistry, Implantology and treatment of anxious patients. Apart from spending time with his patients to reduce their anxiety, Dr Thorp can provide dental treatment or Oral Surgery under intravenous or Oral Sedation. 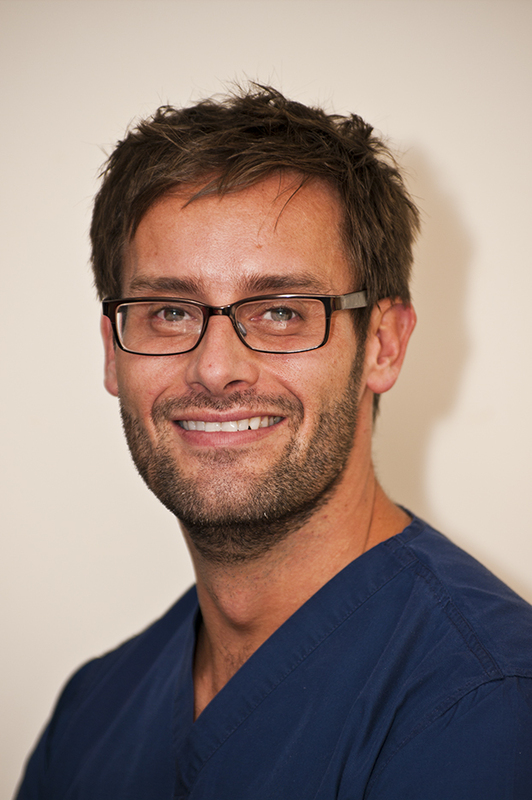 As well as being involved in dental health care, he is also a qualified Facial Rejuvination and Aesthetics Practitioner and has been providing treatments via non surgical techniques such as Botulinum toxin and Hyaluronic acid fillers for the past 10 years. Dr Thorp is the main Implantologist at Dant Y Coed Dental Practice. He also works within other dental practices completing implants for other local dentists. He take referrals from dentists for implants and local orthodontists for all type of oral surgery. Dr Thorp is one of the principals of the practice. He is currently working with close association with the Local Health Board to reduce the waiting times for Oral Surgery by carrying out Oral Surgery ‘out of hours’. As well as carrying out Dentistry , Dr Thorp completes medical reports for solicitors. Out of Dentistry, Dr Thorp enjoys running and has completed numerous marathons and half marathons to raise money for the National Autistic Society. Additionally Dr Thorp is completing a Bachelor of Law at Huddersfield University.